Do you know that the runner-up for Twitter’s 2014 Golden Tweet came from Indonesia? Twitter recognizes the tweet with most retweets as the Golden Tweet. In 2014, the Golden Tweet went to famed American celebrity, Ellen DeGeneres for her legendary ‘selfie’ tweet which featured other celebrities present at the star-studded Oscars. What caught our attention though, was the runner-up for the Golden Tweet. Coming in second, a politically-charged tweet by an Indonesian– in-lieu with Indonesia’s presidential election in 2014–took the Twitterscape by storm. That particular tweet garnered more than a million retweets and a whopping 30 000 favourites. While this might come as a shock to many, we have no doubts about it. Despite being in Southeast Asia and APAC, which is often assumed to be less developed than many other regions in the world in many aspects, Indonesia is undoubtedly a social media-wired nation. 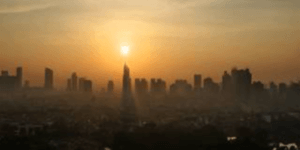 Apart from managing to send a tweet propelling up to be a Golden Tweet runner-up, Indonesia’s capital city, Jakarta, was touted as the world’s most active city on Twitter. With 254.4 million tweets in 2014, the city contributed 2.4% of the world’s total tweets. The city also came in fourth in the world for Facebook activeness. There is apparent effort in Indonesia to improve its infrastructure to meet the exigencies of a modern and tech-savvy social and economic landscape. Coupling regulatory mandates and burgeoning investments from regional and global tech enterprises, Indonesia’s efforts and progress in developing the country to be a ‘smarter’ nation will definitely be catalyzed. This can be seen in the development of Jakarta Smart City, where IoT is being implemented to help improve public services and better utilize resources. Here are some of the applications that will be rolled out in 2016. Jakarta One Card is a "smart card " that which is being created in collaboration with the city-owned lender Bank DKI. The card would function as an electronic ID card (e-KTP), a payment system for public transportation, shopping and Electronic Road Pricing (ERP) tolls, and as a Social Security Management Agency (BPJS) health insurance card. It is targeted that by 2019 , all citizens in Jakarta will have the Jakarta One Card. Using the data obtained from the smart cards, the Jakarta Provincial Government can analyze the movement of people across the city, providing insights on traffic engineering and transportation. To improve traffic and public safety in advance to welcoming the 2018 Asian Games in Jakarta, a monitoring system with over 6000 CCTVs have been installed throughout the city to monitor traffic and crowds. Garbage trucks owned by the Jakarta Provincial Government do not adhere to a predetermined route, as such a challenge faced is that the truck drivers utilize the trucks for personal use outside of their primary tasks. The solution undertaken to resolve the problem is to install GPS sensors on the government owned trucks, so that their positions can be monitored on a 24hour basis. With additional data analytics, the management of trucks can be made to work in a more efficient manner. In addition to garbage trucks , heavy equipment (Construction vehicles,etc) owned by Jakarta Provincial Government will also be installed with special sensors . In addition to knowing their location , the sensor will also be used to monitor wear and tear of the equipment and will flag out when maintenance and replacement of parts is required. In order to reduce the high electric consumption , the current street lighting will be replaced with “Smart” lamps . These lights can be controlled remotely and can provide notification when it should be replaced . 90,000 lamps are expected to be replaced in 2016. Join Setiaji, Head of Technical Implementation Unit ( UPT ), Jakarta Smart City as he shares his insights at the 9th edition of Asia IoT Business Platform, which will take place this 15-16 of August in Jakarta.